BURLINGTON, Iowa — (April 13, 2015) — Winegard, a pioneer in antenna design and development, today announced a strategic partnership with Accelerated Media Technologies, the leading supplier of news vehicles, to provide the new WV750 VSAT antenna for AMTs broadcast vehicles. "Winegards WV750A Ka VSAT antenna provides a game changing solution for the SNG market," said AMT President Tom Jennings. "First, the systems value and size makes it cost effective to mount on small vehicles used by smaller TV stations. Second, its ease of use makes it no longer necessary to have a trained engineer to set-up the system for operation. One person can set-up the system for communication and report the news." 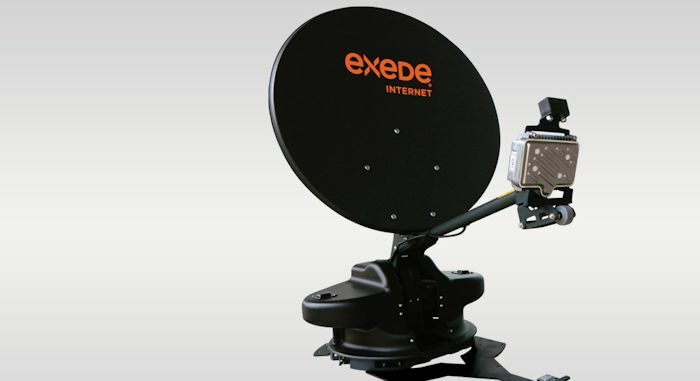 Winegards WV750 is authorized for use on ViaSat Exede Enterprise service. About Winegard Company Winegard Company designs and manufacturers a spectrum of world class antenna products from mass produced consumer antennas and accessories to enterprise focused broadband solutions. Since its incorporation in 1954, Winegard has designed more than 1,000 antenna models and been granted over 80 U.S. patents. The company's heritage includes recognition by NASA for contributions to the Apollo 11 mission, and the induction of founder John Winegard into the Consumer Electronics Association Hall of Fame. Winegards superior antenna design and manufacturing facilities that total 410,000 sq. ft include a state of the art testing and measurement center. The company's in-house and vertically integrated capabilities support its accelerated product design and development cycle.